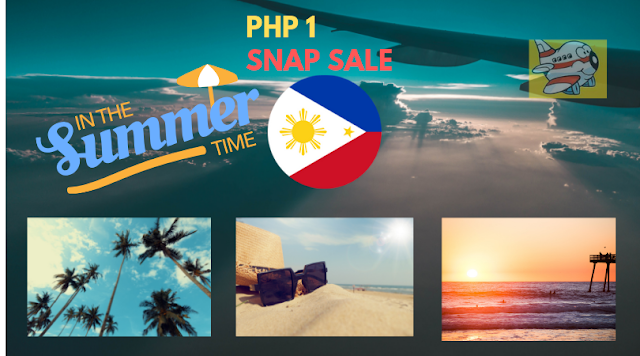 Cebu Pacific Promo Fares: Hey folks, this is just a SNAP SALE! It will end within the DAY only, April 10, 2019. Cebu Pacific is having a Piso Fare promo for some select destinations. You may refer below for the complete list of routes. Please note that there are still cheaper fare from some select domestic flights that you can actually book. Of course, mandatory fees and taxes still do apply when booking only. What are you waiting for? Book here now! Check out PROMOS of other airlines on the TOP or SIDE of this post. Are you ready for some SNAP promos? Php 499 cheapest fare you can get this week! Cebu Pacific Promo: Make Summer Vibe moments happen when you book a ticket with Cebu Pacific. You have until April 11, 2019 to book this airline sale of tickets to some select destinations in the Philippines. The cheapest domestic route that one can avail is a flight from Manila to Iloilo or Marinduque. With a base fare of Php 499, you can now taste batchoy in Iloilo or some sinalab in Marinduque. If you are eyeing on a promo fare for an international trip, there isn't much to expect this time. As there is only one promo offering overseas. That is a flight from Clark to Narita with a base fare of Php 2099. There are more domestic routes that you can select especially flights coming from Manila.